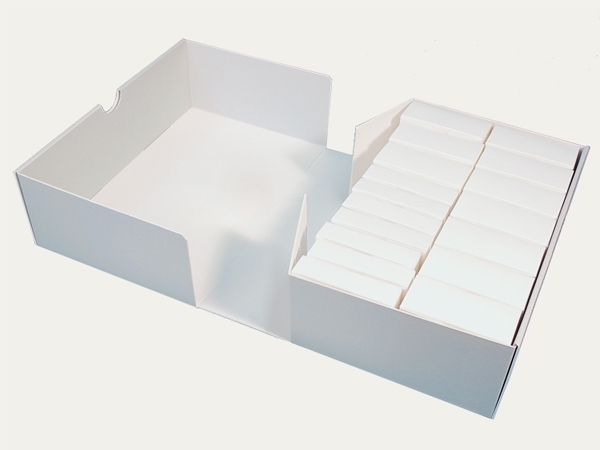 A clamshell box enclosing 14 or 26 small folded boxes – for storing 16 mm and 35 mm film reels. 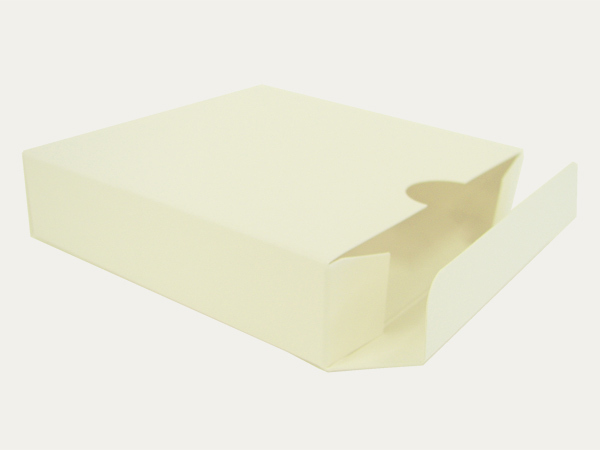 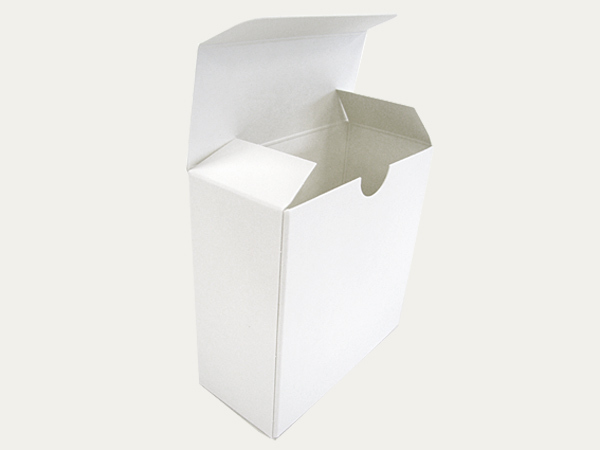 The small folded boxes are made from ageing resistant, natural white coloured photographic archival board, 0.5 mm thick, without an alkaline buffer. 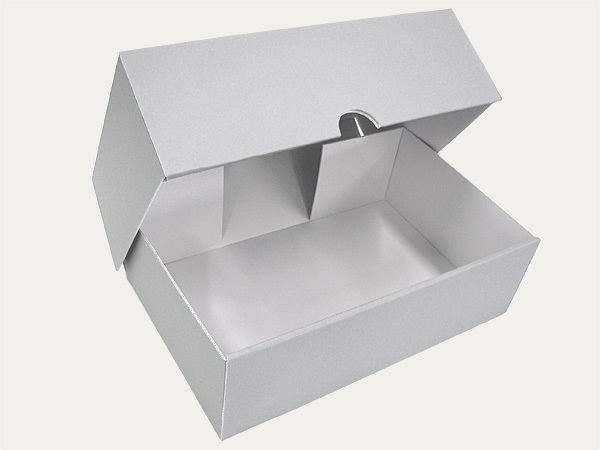 The calmshell box itself is made from corrugated board, MW 1.6 mm.